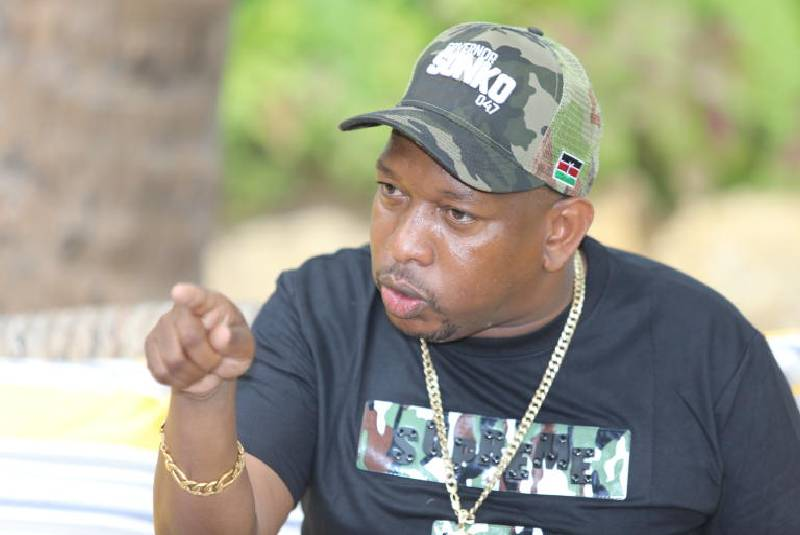 Home / Entertainment News, Featured Articles / Governor SONKO has this to say after LINTURI was exposed as a useless pig in bed by his wife MARY KAITANY. Governor SONKO has this to say after LINTURI was exposed as a useless pig in bed by his wife MARY KAITANY. Thursday, April 4, 2019-Meru Senator, Mithika Linturi, was embarrassed by his wife Mary Kaitany in their ongoing divorce case after she revealed that he never satisfied her in bed. Mary Kaitany exposed her husband’s poor bedroom skills through an affidavit. She said that at times, Linturi would fake sickness and pretend to be sick in-order to deny her conjugal rights. “Linturi was unable to rise to the occasion in the bedroom on several occasions, claiming exhaustion, sickness, but for most of the part he simply could not, Read part of the affidavit. 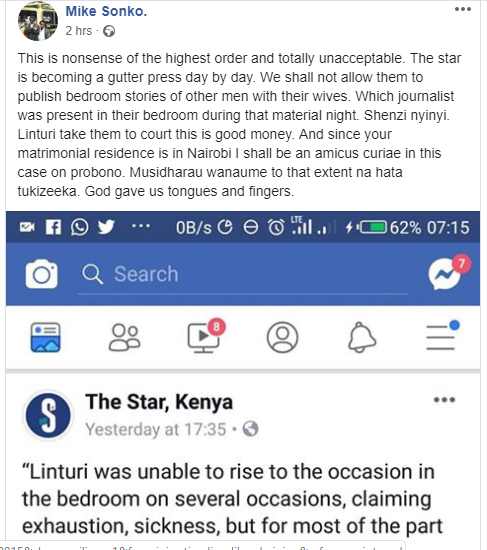 Nairobi Governor, Mike Sonko, has attacked the media particularly the Star Newspaper, for spilling out Linturi’s dirt to the public.